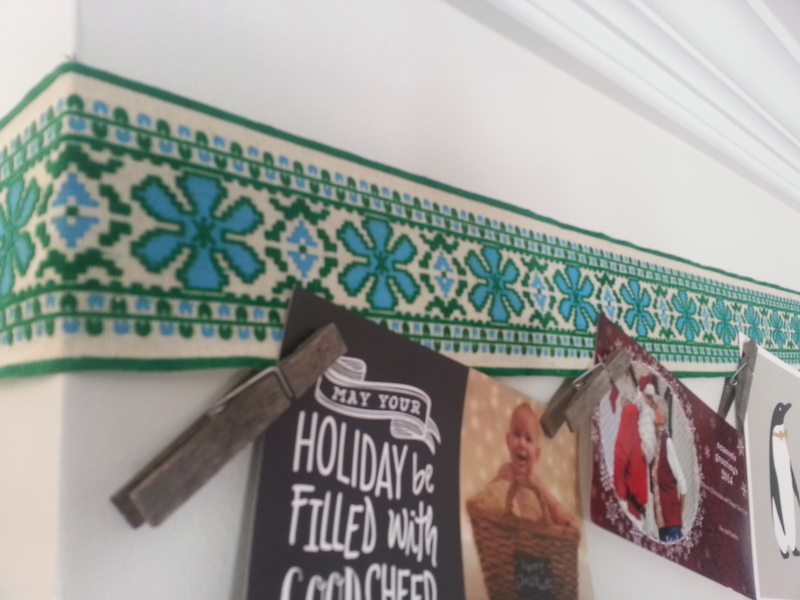 This entry was posted in Being Thrifty, Holidays, Home made and tagged holiday craft, putting up cards. Bookmark the permalink. 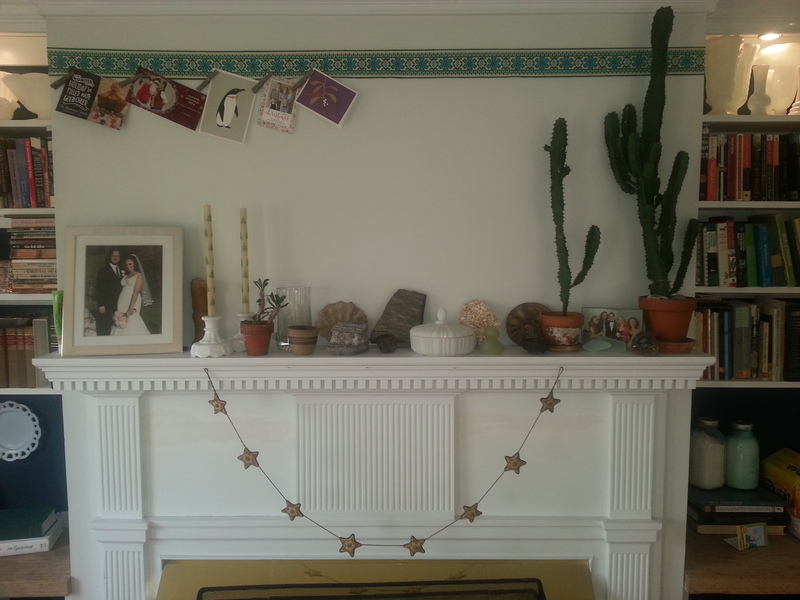 The ribbon is beautiful… makes the fireplace area so festive. The spruce must be HUGE! I can’t even imagine buying a 300 lbs tree. I’m sure it will love its new home.